For improving engine performance, combustion and controlling emissions from compression ignition (CI) engines, common rail direct injection (CRDI) technology offers limitless possibilities by controlling fuel injection parameters such as fuel injection pressure, start of injection (SOI) timing, rate of fuel injection and injection duration. CRDI systems available commercially are quite complex and use a large number of sensors, hardware and analytical circuits, which make them very expensive and unfeasible for cheaper single cylinder engines, typically used in agricultural sector and decentralized power sector. 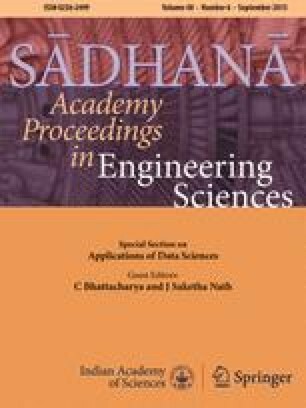 This paper covers experimental investigations of a simpler version of CRDI system developed for a constant-speed, single-cylinder engine. Modifications in the cylinder head for accommodating solenoid injector, designing injector driver circuit and development of high pressure stage controls were some of the engine modification and development tasks undertaken. SOI timing is an important parameter for improving engine’s combustion characteristics. SOI timings were varied between 25° and 40° BTDC for investigating engine’s performance, emissions and combustion characteristics. Advanced fuel injections showed higher heat release rate (HRR), cylinder pressure and rate of pressure rise (RoPR) because of relatively longer ignition delay experienced. Lowest brake specific fuel consumption (BSFC) was obtained for 34° CA BTDC SOI. Reduction in engine out emissions except NOx was observed for advanced fuel injection timings for this newly developed CRDI system. CRDI system combustion characteristics start of injection heat release rate emissions combustion duration. Financial support from CSIR through their grant Sanction Letter No. 37(1505)/11/EMR-II dated 22 December 2011 for conducting this investigation is gratefully acknowledged and appreciated.